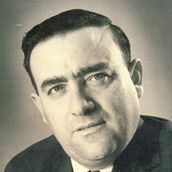 John G. Micallef was born on the 12th of June 1926 at Paola, Malta. He comes from a musical family and started having music lessons from his father when he was nine years of age. These were interrupted when World War Two broke out in September 1939 and stopped altogether when Italy declared war in June 1940. He and his family, had to be evacuated to another village for safety reasons. He started having music lessons again when Italy surrendered to the British Forces in September 1943. As a result of this, many Italian and German prisoners of war were brought to Malta some of whom happened to be musicians. One day, he was introduced to one of them, a certain Vaifro Vezzani from Milan who played the Accordion . John, now aged 17, after acquiring an old accordion, started having accordion lessons from Vezzani and by the time the latter left Malta, John had become a good performer on this instrument. Meanwhile, he did not neglect his studies on the mandoline and the guitar which were initiated by his father before the war. At this time, he also showed keen interest in the violin. In the absence of a violin teacher in his or nearby village, he started studying the instrument under his father’s tutorage. In 1945, he formed his own Dance Band Group, playing in different places at social receptions, mostly using the accordion which was then becoming very popular in Malta. At the time, although still rather young, he started teaching music. In 1949, he formed the “De Paola Mandoline Orchestra” and, besides public recitals, he and his group of musicians, including his father and brother, also took part several times on the local general public broadcasting system, namely, the Rediffusion, especially in a programme named “Hour Of The Sick” organized by the Malta Catholic Action Movement which ran for some months. This was a very popular programme which continued to enhance his reputation as a musician. In 1950, he began to play the accordion with various musical groups and orchestras in many public functions. At this time, he also started giving private tuition in accordion, mandoline, guitar and Violin playing. On the 9th.January 1951, he and his Mandoline & Guitar Group, gave a concert at one of the leading hotels in Malta under the auspices of the Malta Cultural Institute which was very well commented upon by the local press. In March 1951, he started taking piano lessons himself, and in 1956, he also started taking lessons in harmony and counterpoint, but these had to be interrupted due to family reasons. In the 1960s, the Beatles and the Shadows guitar groups in England with their electric guitars, had a very strong impact throughout the world including Malta, so John started forming up Guitar Groups similar to the them. Under his guidance and tuition, many of the Maltese guitar groups became very popular in the Maltese musical scene. These groups numbered about twenty. In 1961, he and his Mandoline & Guitar Group, now called “Johnnie Micallef & His Mandolins” appeared on the Malta Television for the first time in the programme “Spotlight” followed by six or seven other programmes. These were also very popular with the Maltese and Gozitan television viewers and kept running up to 1963 after each of which, the press gave him very good praise as a leader, and also for his programmes. In 1961, he was elected as an Associate member of the Performing Rights Society Ltd. of London, United Kingdom, and in 1963, he led and directed the orchestra of the pantomime “Cindirella” under the auspices of the then H.M.Dockyard Officers Dramatic and Operatic Society (Malta), which event, continued to give him encouragement in his musical career. In 1964, he was commissioned to form and direct the orchestra for the 5th. Malta Song Festival, which was transmitted for the first time on Malta Television (MTV) for three nights. In April 1965, he organized the first Guitar Music Festival at the Radio City Opera House in Hamrun, Malta at which, eight of the best and most popular Guitar Groups took part. On the 8th.January 1973, with his Mandoline & Guitar Group, he presented another programme on the local broadcasting system called “Mandolini, Mandolini” followed by other programmes which ran for some months. On the 31st.May, he was appointed music teacher in Mandoline, Guitar and Accordion playing at the Johann Strauss School of Music in Valletta, Malta, a post which he held up to June 1987, after which, he was given another appointment by the Society of Arts, Manufacture and Commerce mostly teaching Guitar playing at their premises in Valletta. In May 1977, he was elected Chairman of the Maltese Authors and Composers Union (U.K.A.M.) and finally he semi-retired from the Maltese musical scene in 2001. During more than fifty years of his musical career, he taught music to hundreds of people in all walks of life, including many English service men and women and civilians who served in Malta from 1945 up to the end of British rule on the 31st.March 1979, at his residence in Paola, Malta. Among his many musical compositions which number more than fifty, he composed a march entitled “Our Gracious Queen” which he wrote and arranged for the whole military band. This was played and recorded on an LP by the “Black Watch’ military band of Scotland, and was included in the album ‘Spirit of the Isles’, published in England in 1987. Five other compositions for the accordion, namely, “Valeriana” “Serenite D’Esprit” “The Gallant Hero” “Jungfrau” and “Melita Romantica” were also published in England in the 1960’s. “Serenite D’Esprit” was also chosen by the National Accordion Organisation of Great Britain, as the ‘Under 14’ test piece for the Accordion Examinations throughout the Commonwealth. Three of his other Accordion compositions were also chosen by the British College of Accordionists for their 1964 syllabus of their examinations. Although at an advanced age and now retired, the love of music never left him and occasionally, he still finds time to play the Violin, Mandoline, Guitar and sometimes, also the piano and compose music. His latest composition, is a march entitled “Viva Kristu Re”, which he wrote for the orchestra, in honour of Christ The King, purposely for His feast in his native village, Paola, Malta, which was celebrated on the 22nd.July 2010 and of which Christ the King is the Patron. Most of his musical compositions, are now being recorded on the CDs. He is also featured in the recently published Dictionary of Malta Biographies, published by PIN Publications of Malta.